JOBY WARRICK covers intelligence for the "Washington Post," where he has been a reporter since 1996. He is a winner of the Pulitzer Prize and has appeared on CNN, Fox, and PBS. "Mr. Warrick has reconstructed, in vivid and telling detail, the sequence of events that led Humam al-Balawi to kill seven CIA operatives in a suicide attack in Afghanistan in December 2009....It is a chilling tale, told with skill and verve." 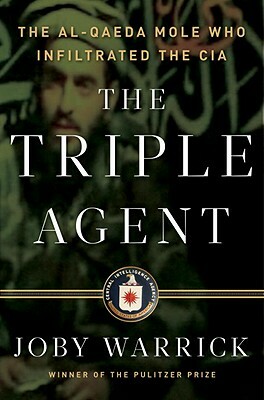 "The Triple Agent is a page turner....It's a must-read for counterterrorism and spy junkies." "Warrick is a brilliant reporter and a fine writer.... This is as gripping a true-life spy saga as I've read in years." "[An] accessible and fast-paced debut....[Warrick] gives this story a cinematic feel with suspensful foreshadowing, rich character development...and a remarkable amount of heart." "Warrick has pieced together a fast-paced and compelling narrative that reads like a Hollywood screenplay. He provides a rare look at the careers and personal lives of CIA officers, including the courageous women who played key roles....Spellbinding." "Insightful and riveting.... Mr. Warrick adds a wealth of new detail to a narrative that reads like the best spy fiction." "The Triple Agent is a spy thriller like no other. Never has such a giant intelligence debacle been chronicled this vividly, this intimately. Riveting and harrowing, laden with deception and duplicity, it is a remarkable, behind-the-curtain account of the CIA’s darkest day in Afghanistan."